NBC's new "Manifest" drama stars Melissa Roxburgh, Josh Dallas, Athena Karkanis, J.R. Ramirez, Luna Blaise, Jack Messina and Parveen Kaur. Robert Zemeckis, who twisted time-traveling in "Back to the Future," is an executive producer on NBC's new fall "Manifest," about passengers on a turbulent flight in 2013. Upon landing, they learn the world has aged five years for their family and friends, who have mourned their loss and moved on. 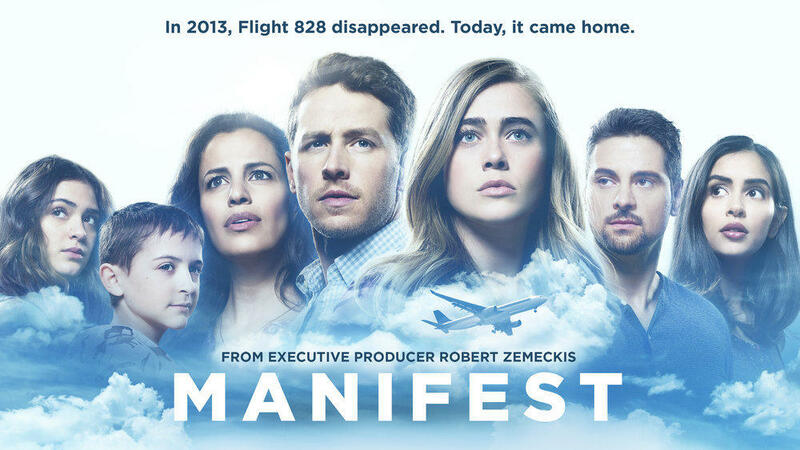 "Manifest" will air in the prime spot at 10 p.m. Monday following "The Voice." It is one of three new fall shows – two dramas and a comedy – on NBC, which also will continue production of Andy Samberg's "Brooklyn Nine-Nine," canceled by Fox last week after five years. 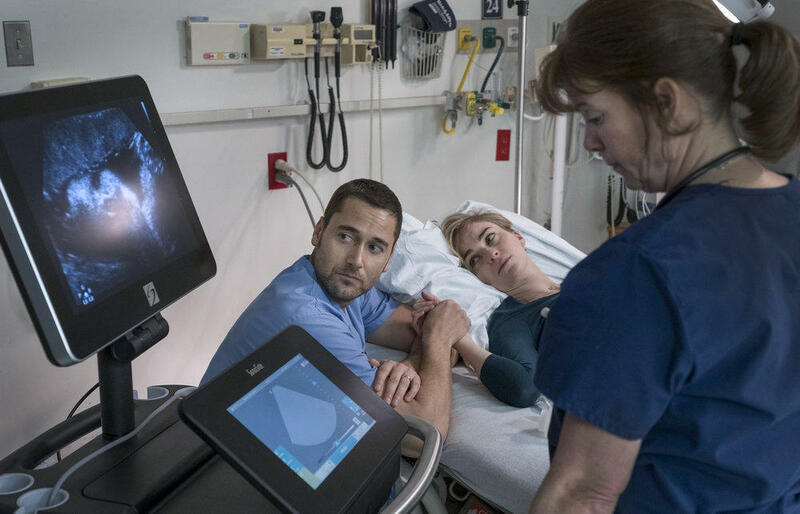 "New Amsterdam," a medical drama based on New York's Bellevue Hospital, stars Ryan Eggold ("The Blacklist") as the new administrator trying to shake up one of the nation's oldest public hospitals. Ryan Eggold stars in "New Amsterdam," a medical drama based on New York's Bellevue Hospital. Amy Pohler produces "I Feel Bad," NBC's only fall comedy, about an imperfect working mother (Sarayu Blue, "The Real O'Neals," "NCIS: Los Angeles," "Monday Mornings") who sometimes tries to ignore her misbehaving children or uses her employees to solve personal problems. 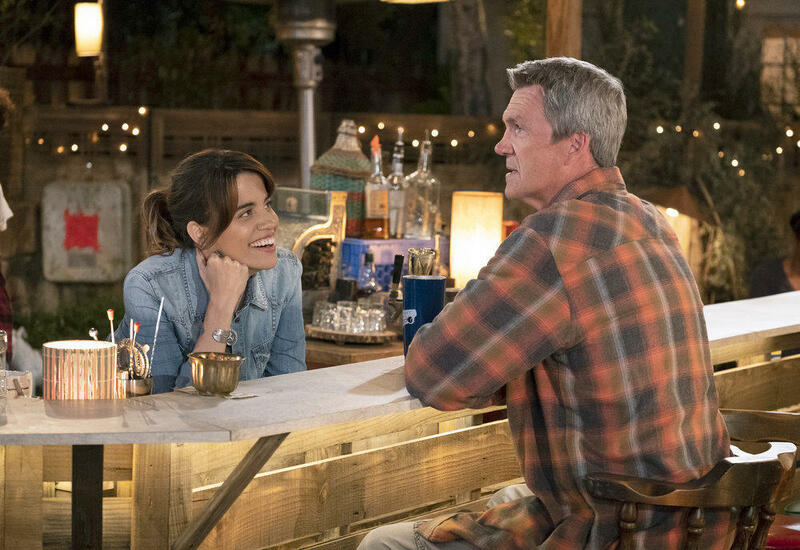 MIDSEASON: Among the midseason shows "Brooklyn Nine-Nine," "The Blacklist," "AP Bio" and "Abby's," starring Natalie Morales ("Parks and Recreation") who runs an "unlicensed, makeshift bar" in her San Diego backyard. Among the bar regulars is Neil Flynn from ABC's "The Middle" (which ends May 22). In "Abby's," Natalie Morales runs an "unlicensed, makeshift bar" in her San Diego backyard. Here's a link to NBC's 2018-19 season announcement with details on more casting and midseason shows. GONERS: "The Brave," "Great News," "The Night Shift," "Rise," "Taken." RENEWED: "America’s Got Talent," "AP Bio," "The Blacklist," "Blindspot," "Chicago Fire," "Chicago Med," "Chicago P.D.," "Days of Our Lives," "Ellen's Game of Games," "Good Girls," "The Good Place," "Hollywood Game Night," "Law & Order: SVU," "Midnight, Texas," "NBC Dateline," "NBC Sunday Night Football," "Superstore," "This Is Us," "The Wall," "Will & Grace" and "World of Dance." SUNDAY: 7 p.m., "Football Night In America;" 8:20 p.m., "NBC Sunday Night Football." MONDAY: 8 p.m., "The Voice;" 10 p.m., "Manifest." TUESDAY: 8 p.m., "The Voice;" 9 p.m., "This Is Us;" 10 p.m., "New Amsterdam." WEDNESDAY: 8 p.m., "Chicago Med;" 9 p.m., "Chicago Fire;" 10 p.m., "Chicago P.D." 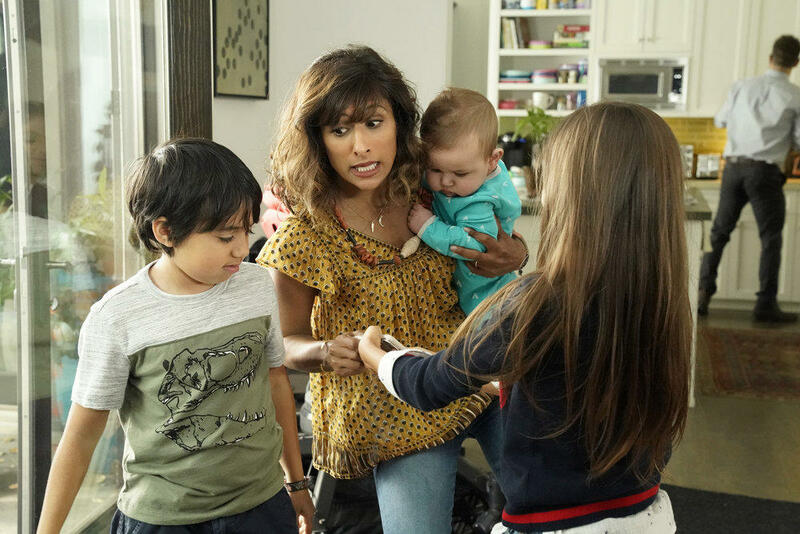 Sarayu Blue plays the mother of three children in "I Feel Bad." THURSDAY: 8 p.m., "Superstore;" 8:30 p.m., "The Good Place;" 9 p.m., "Will & Grace;" 9:30 p.m., "I Feel Bad;" 10 p.m., "Law & Order SVU." FRIDAY: 8 p.m., "Blindspot;" 9 p.m., "Midnight, Texas;" 10 p.m., "Dateline NBC." SATURDAY: 8 p.m., "Dateline Saturday Night Mystery;" 10 p.m., "Saturday Night Live" reruns. Here's a link to my story last week about the broadcast networks' fall TV announcements coming this week and a list of canceled/renewed shows so far. 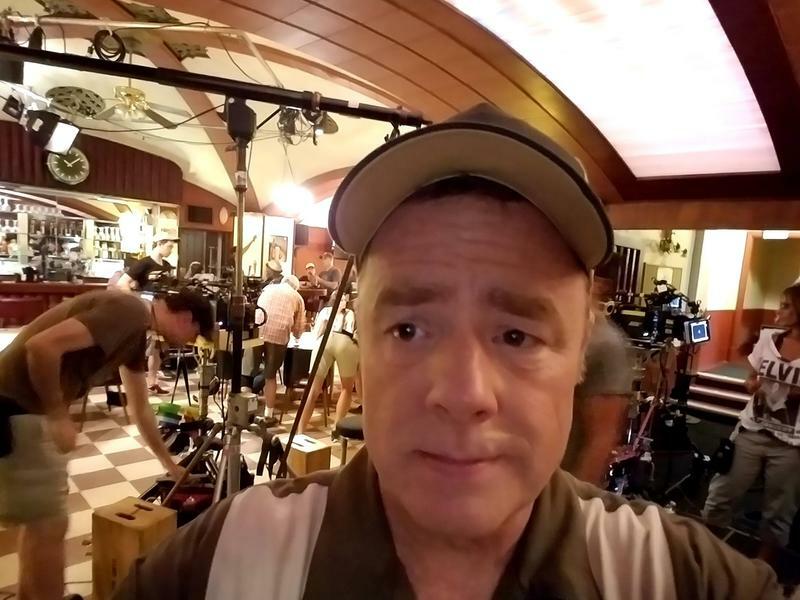 Anderson Township native Chip Chinery's fall TV tour continues Tuesday with an appearance on Fox's "Brooklyn Nine-Nine" (9:30 p.m. Nov. 7, Channel 19). Chinery plays a poker player named "Don" when police Detective Jake Peralta (Andy Samberg) and Sgt. Terry Jeffords (Terry Crews) go undercover to investigate arms dealer Dan “Daniel” Valdano (David Figlioli).